While considering if religion should be taught in schools, there are several, conflicting viewpoints. However, if this is analyzed objectively, including it as part of the curriculum offer more benefits than disadvantages. There is no denying that religion has been used by some sectors to promote their own ideas and agendas. These efforts have also lead to tragic consequences and bloodshed. This is not new. Go through any history book and you will see that men have often used the name of God (be it Yahweh, Allah or another deity) for their own personal glory. It is also true that several people have used spiritual beliefs to hoodwink others. Unfortunately, a few of these anti-social elements have created such a drastic impression that many people blame religion to be the root cause for all the problems. This is especially true, when it comes to teaching it in schools. Children are at a very impressionable age when they join school and so, some firmly believe that teaching them about religion would be inadvisable. However, teaching children about this integral part of our lives can also prove helpful in illuminating their minds. promoting understanding: A lot of the problems stem from the root cause namely, misunderstanding. It cannot be denied that some think of Muslims as being violent and extreme. Some others, look at Christians as zealots. There are also those who see Hindus and Buddhists as eccentric. At the very least, it leads to derision and at the worst, it can stoke a religious war. By teaching young impressionable minds at schools about the true nature and message of religions, many misconceptions can be dispelled. It is true that there are fundamental differences between these beliefs.Teachers should use these differenced to give their students, exposure to various belief systems. tolerance and respect: The biggest benefit of teaching religion in schools is that it teaches children, the importance of tolerance and peaceful coexistence. By giving them exposure to different religions, their values, evolution and history, children gradually learn that the existence of more than one religion only serves to further enrich society. They learn to appreciate the uniqueness and value of each religion. They begin to realize that when it comes to beliefs, it is always a case of following one’s own calling. By respecting each individual’s choice, society only becomes more broad-minded and enlightened. And the best time to lay the foundation for such a society would be when children are at school. When teachers are entrusted with the responsibility of teaching a sensitive subject like religion at school, they need to be careful and responsible in their approach. They should cover each religion as comprehensively as possible. At the same time, they should always remain strictly objective. Nothing can be worse than being biased about one religion and virulently criticizing another. 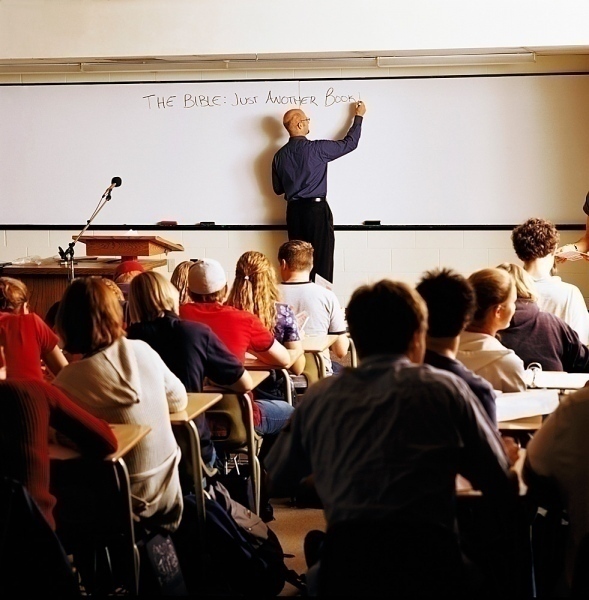 Students usually have a high regard for the opinions and principle beliefs of their teachers. 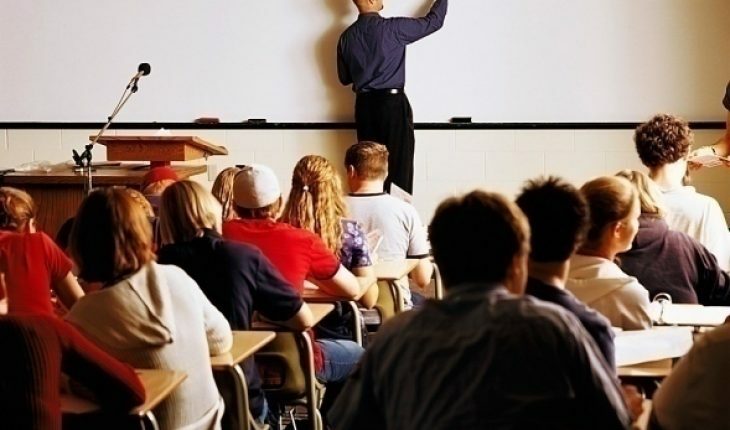 So, when the teacher can exercise such a huge influence on the students minds, they have to make a very conscious effort to ensure that they do not thrust or force their beliefs on the students. Let them make up their own minds. Let them decide which religion to follow, if they decide to follow any. For students who already have a particular religious faith instilled in them, this is a great opportunity to learn about other belief systems. For instance, a Christian student can learn new facts about Islam and gain interesting insights about both the religions. The same rule applies to a Muslim student or to other students of any other faith. The student might not agree with every aspect of the religion he is studying about. This is normal and acceptable. However, one has to learn to respect the other belief system and not attack it or criticize it. Every individual has the right to make his choice and as long as it does not hinder or obstruct another person’s beliefs, one must not impede their discovery of that particular belief system. The purpose of teaching religion in schools should be to instill tolerance and acceptance. The root of religious conflicts stems from ignorance or refusal to respect other people’s beliefs. By instilling religious tolerance in schools, these incidents can be curbed and avoided. Correct facts should be taught in schools objectively and religion should be used as a positive guiding force for a better future for our children.